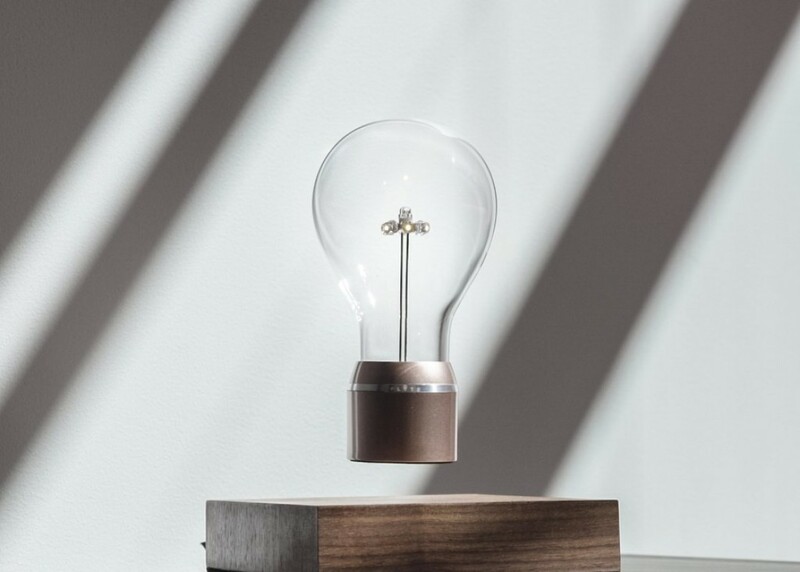 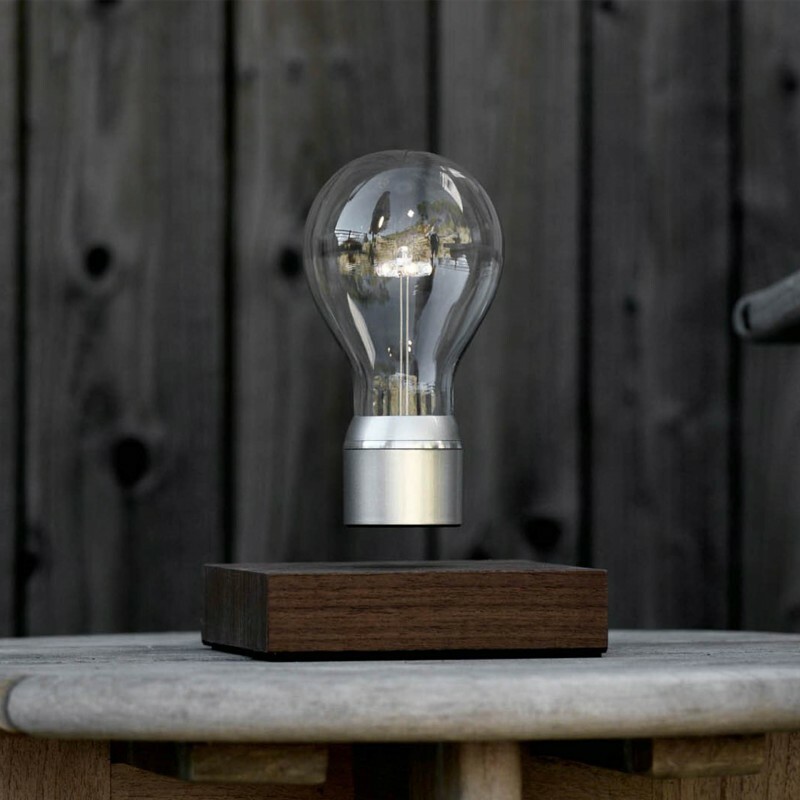 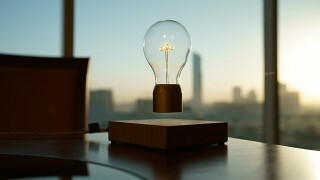 A lightbulb that relies on electromagnetism to levitate and spin, and on resonant inductive coupling—a technical term for wireless power ­transmission—to shine. An elegant and decorative lamp-speaker designed by Daqi Concept. 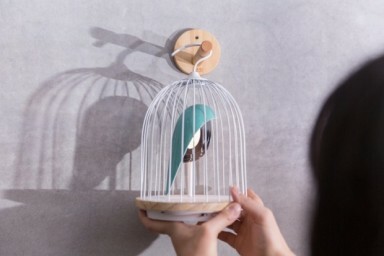 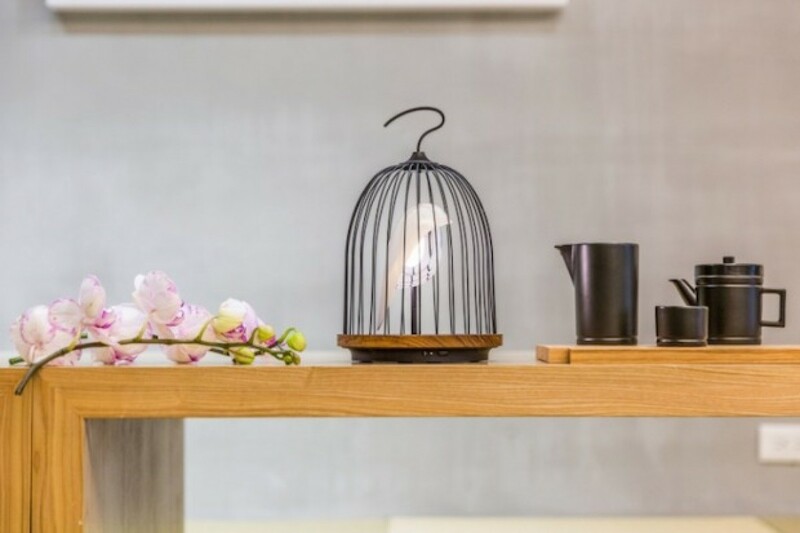 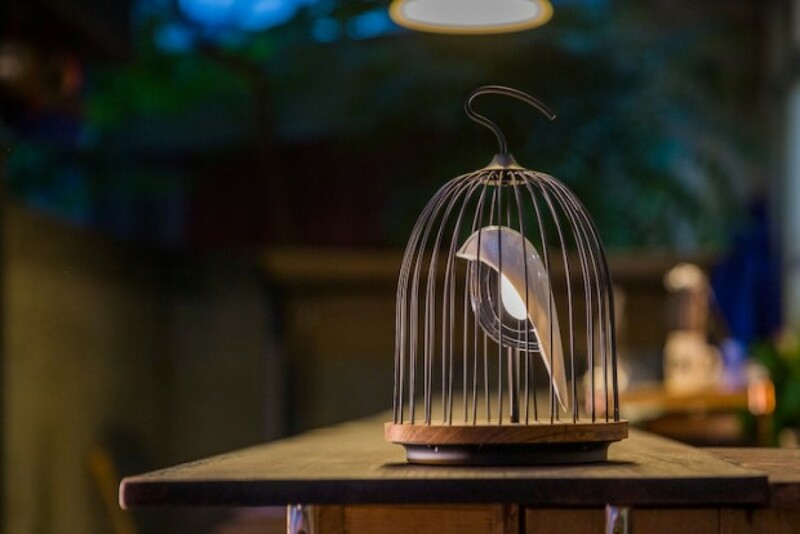 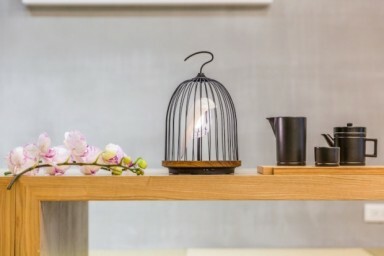 It takes the form of a bird in a rounded metal cage and diffuses music and a soft light. A hook at the top of the cage makes it easy to move and hook or take anywhere. 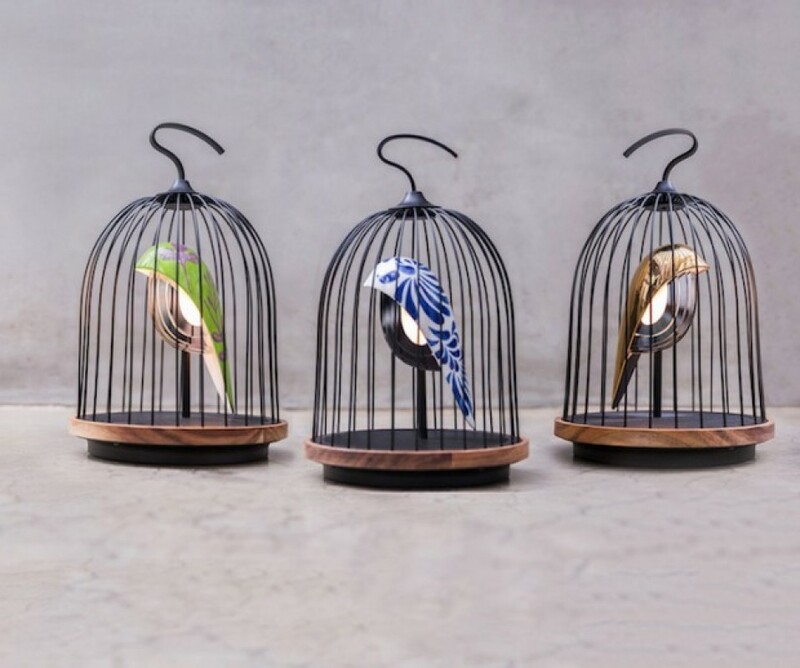 The metal and ceramic bird is available in different designs and colors. 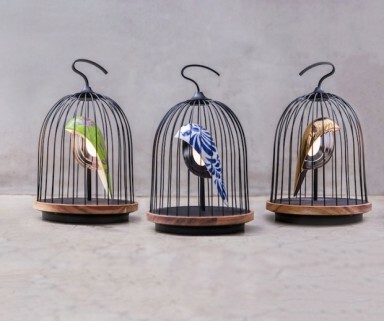 "JinGoo" in ancient Chinese literature describes the song of birds.